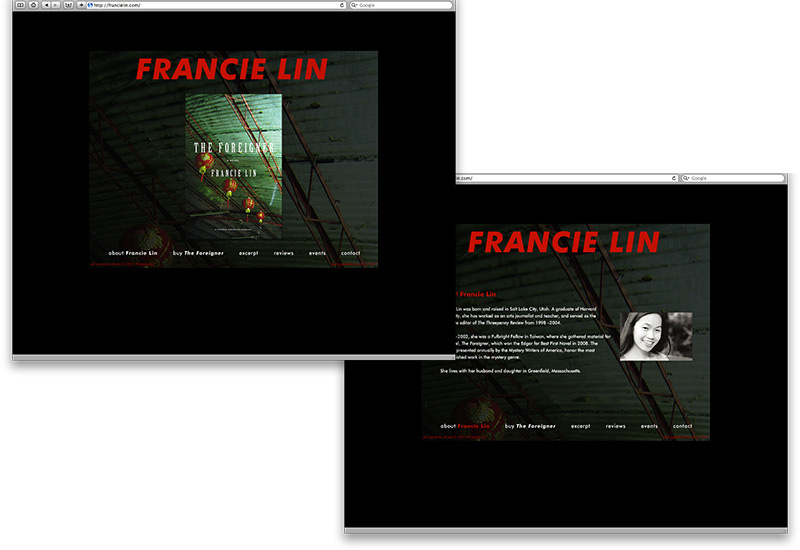 Francie Lin is the Edgar-award-winning author of The Foreigner. She lives in Florence, Massachusetts with her husband and daughter. Francie’s site was designed to reflect the mystery & menace of her novel.